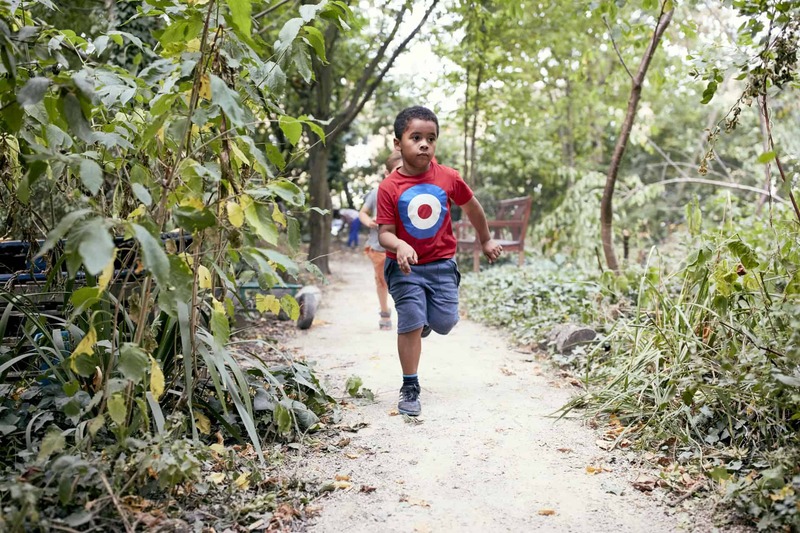 The Oasisplay Nature Garden provides: free, supervised, inclusive environmental play sessions for children aged 5-12 after school, and in the school holidays; weekly term time sessions for under 5s and their parent/carers; and community Saturdays. Young people aged 15-16 are welcome to become young volunteers. Children under the age of 5 are welcome with a parent/carer over the age of 16 during all our sessions. There is no need to book individual sessions, just turn up! We are open all year round. All individual sessions at the garden are free. Children staying for a full day need to bring a packed lunch. No need to book, just turn up! 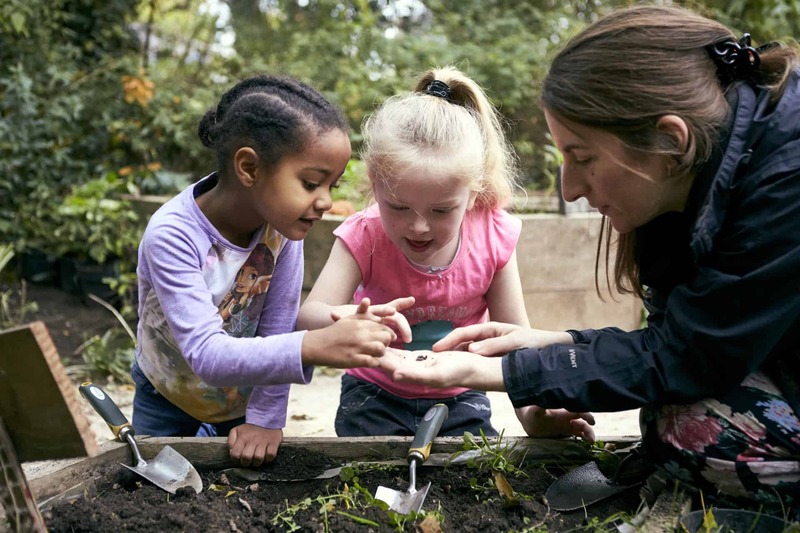 Environmental education and creative workshops are available for schools, and community groups and the garden is available for booking for private parties. £165 for 2 hours, £50 deposit required. The Adventure for birthday parties and other private functions. We are open most school holidays for play sessions 10:30am -4pm with the exception of the Christmas holidays and the last week of the summer holidays (August 29th – Sept 2nd) when we will be closed. All children staying for a full day visit need to bring a packed lunch. We are mainly an outdoor space (though we do also have a small building) so please ensure your child is dressed appropriately. We can provide wellies for muddy play. As with after school club, free places are offered on a first come basis, on the day, until we reach capacity, if you need to book a place during holidays, or need childcare for extended hours, some spaces can be reserved for a moderate cost, for further details please get in touch. Please check holiday dates as this group runs during school term time only. You are welcome to join in with any other activities on site, please call or email for more information. PLEASE NOTE: Our maximum number of children who can be left supervised by our staff is 25 (based on full staffing). For the under 5s group we also limit numbers to 25 children because of the limits on our space. We can become very busy and when we have reached capacity we are not able to allow any more children on to site and therefore may not be able to let you in. Please arrive early to ensure you get a place! The Nature Garden will be open for all to enjoy. This means we will not be taking responsibility for unaccompanied children, but adults will now be able to enjoy the garden too! Come picnic, pond dip, garden, cook, potter, read the paper or join in with workshops teaching woodwork, gardening, bush craft skills and more. In the mornings we operate a gardening club teaching and enjoying organic gardening and gardening for wildlife. In the afternoons we offer free workshops focusing on a wide variety of skills. Sessions can be booked Mon-Fri 10am-3pm. For an indication of the sorts of sessions we offer please see below. Sessions are 1.5 hours long and cost £150. All equipment is supplied. There is a maximum of 30 children per School Session and 15 children for the Forest School Session. • QCA science schemes of work come alive, from rocks and soils to plants and habitats and adaptation. 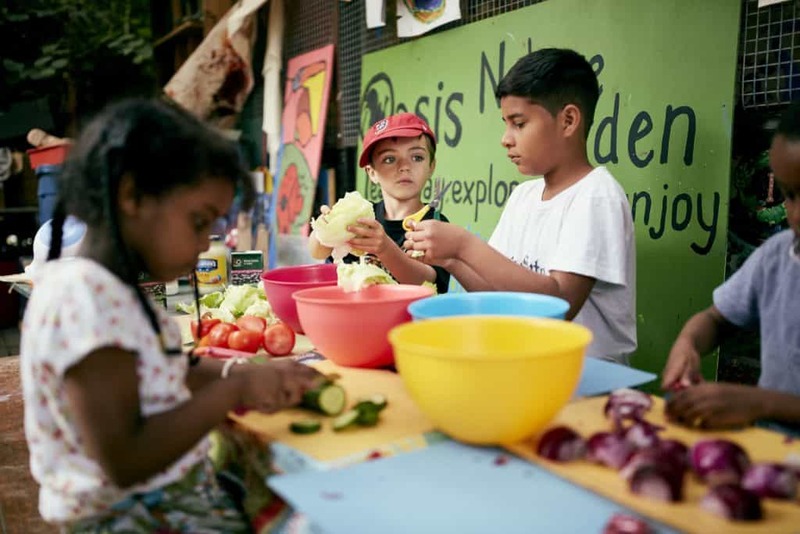 Sessions are hands on and participatory offering opportunities for the children to explore the garden for themselves and to learn through games and activities as well as discussion. 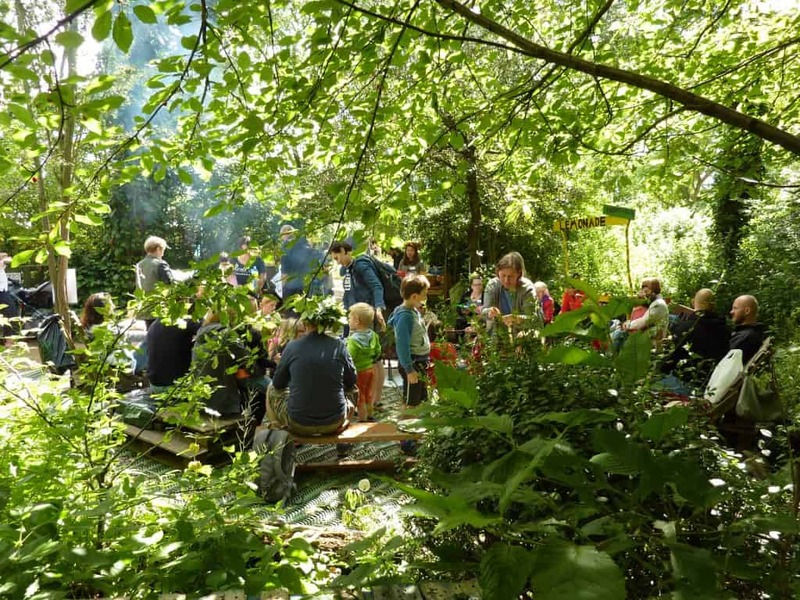 • Add a bit of magic to your literacy lessons – from a Flat Stanley Egyptian treasure adventure, to following Stick Man through the woods or Going on a Bear Hunt, the garden is a perfect space for inspiring imaginations. • Wild about food? Experience outdoor cooking, grow and harvest your own food. Test your sense of smell with different herbs. Plant a seed to take home. • End of term treat – come enjoy the space and take part in a treasure hunt. Positive, challenging and engaging; forest school sessions include activities such as shelter building, tool use, fire lighting, blindfold exploration, species identification and team games. 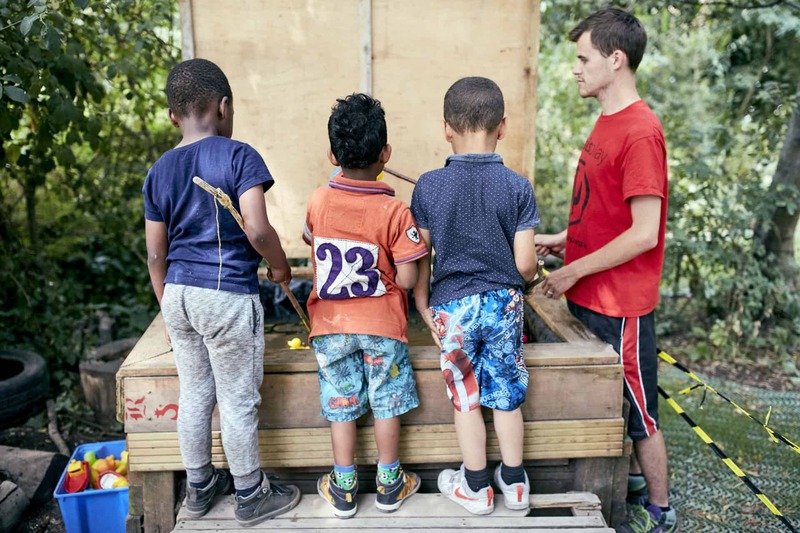 Whilst containing many explicit links to the national curriculum, and teaching participants much about the world around them, the primary focus is on raising self-esteem and understanding, developing group work skills and contributing to physical and mental well-being. All sessions include achievable challenges, a mix of individual and group activities, and provide the child with something to take home or back to school to stimulate conversation. Whole classes can be catered for but best results and more physically challenging activities are achieved with groups of up to 15. Sessions run for 1.5 hours and cost £150. “Forest School is my favourite kind of school” (yr 3 pupil, Larkhall Primary School). If you can’t find what you’re looking for or would like to know more please get in touch.